An Australian senator is being condemned for his speech in Parliament advocating reviving a white-only immigration policy and using the term "final solution" in calling for a vote on which migrants to admit into the country. The reasons for ending all further Muslim immigration "are both compelling and self-evident", Anning said, before claiming that a national referendum on the "problem" was the "final solution". 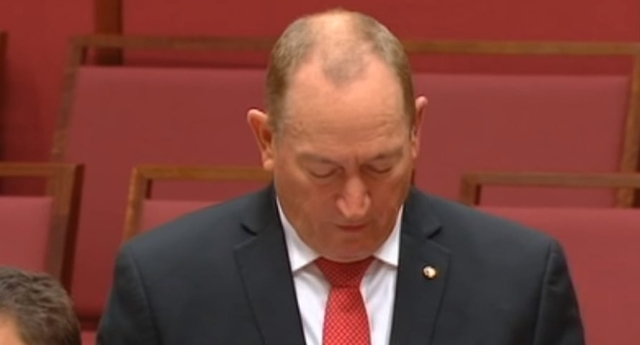 "We need a plebiscite to allow the Australian people to decide whether they want wholesale non-English speaking immigrants from the third world, and particularly whether they want any Muslims, or whether they want to return to the predominately European immigration policy..."
"While all Muslims are not terrorists, certainly all terrorists these days are Muslims", Senator Anning said. He says "When you say you don't want people of a particular religion in a country you can pretend whatever you like - it is just racism". Politicians from across the divide have labelled the comments appalling and disgusting. The ex-One Nation senator has the full support of his new party boss. "We reject and condemn racism in any form", Australian Prime Minister Malcolm Turnbull said on Twitter. Mr Katter also defended the use of the term "final solution", arguing Senator Anning had not been to university and "doesn't know what any of this means". "Because I can't tell who's who, I think the safest thing for Australians is that we don't have any of them", he said. 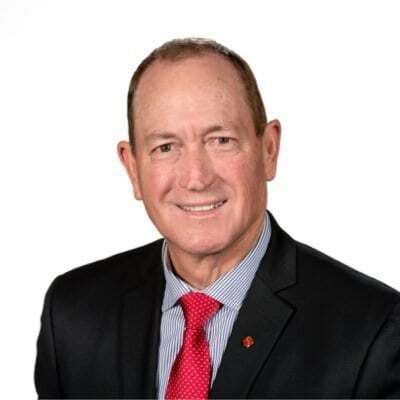 Fraser Anning has refused to apologize for the content of his first upper house speech. Labor opposition leader Bill Shorten called the speech "a low point for our parliament". "I am not going to apologise or regret anything that I say", he said. Hanson acknowledged that Anning was elected under the One Nation banner but said he had "never held a seat in this parliament under Pauline Hanson's One Nation, from day one when he was sworn in he was an independent". The Sydney Morning Herald called it "the most inflammatory maiden speech to an Australian parliament" since a speech made 20 years ago that asserted Australia was "in danger of being swamped by Asians". FILE PHOTO: Australian senator Pauline Hanson reacts as she talks with local Aboriginal people in the northern Australian town of Rockhampton in Queensland, Australia, November 8, 2017.